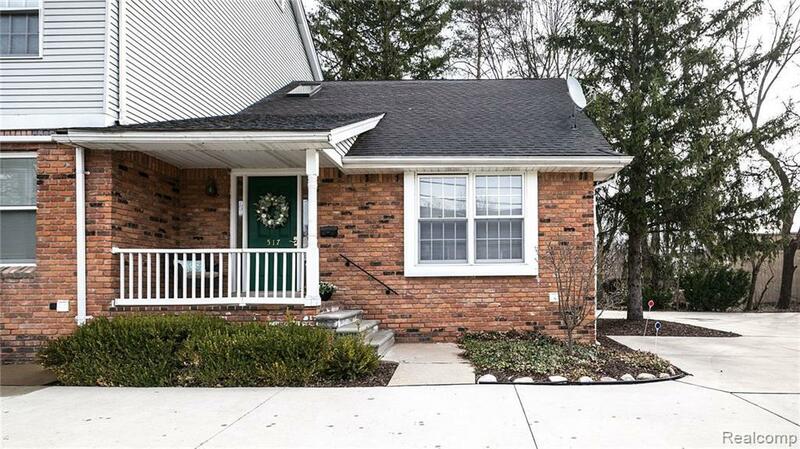 Walk to Downtown Northville from this first floor, end-unit condominium. Hardwood floors in the great room/dining room, and bedroom. Volume ceiling in great room. Well appointed kitchen with sliding glass door to the large deck overlooking the treed side yard. Spacious full bathroom with skylight. Partially finished lower level with room for a workout or for watching television. Ample storage throughout. All appliances, including washer and dryer. Large covered porch with space for seating. One assigned car space in the garage, plus additional storage in garage loft. Available for immediate occupancy. Call agent for the lease agreement. No pets allowed. IDX provided courtesy of Realcomp II Ltd., via Professional One Real Estate and Realcomp, ©2019 Realcomp II Ltd. Shareholders.